Last week was a pretty big week for Bimmer - even if she doesn't quite realize it. 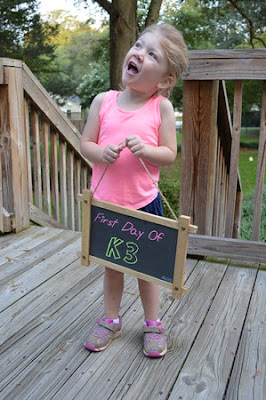 First off, she officially moved into the K3 class at her preschool. So far, I like her teacher. 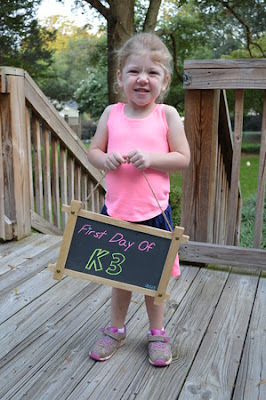 But Bimmer always does better in a smaller classroom, and her K3 class has 15 kids. I got a note home her second day about Bimmer not making wise decisions and not listening. Hopefully the threats of taking away any TV time at home if she's bad at school will work! 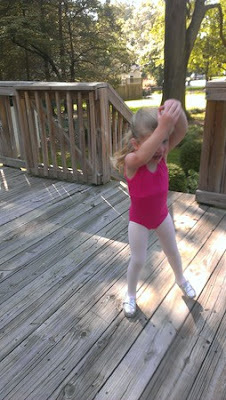 She also finally started her dance class! I was very proud of her in that class. We can watch via closed-circuit TV into her classroom and she appeared to follow directions and participate appropriately. 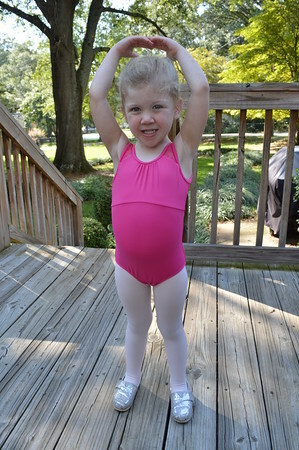 Hard to believe I'm going to be a "dance mom" and spend every Friday night in the studio between now and the end of May 2016. But so far, she loves it. And that's all that matters. Get your twirl on girl!